ALBUQUERQUE, NEW MEXICO—As I young teenager I didn’t read fiction, novels to be exact. Rather, my reading habits revolved around magazines that communicated information—science, history, and the like. It seemed to me then that when reading, I should read about something real. I suppose it was journalists that shaped my reading patterns. My attitude changed when I finally began to read novels—seriously—in my junior year of high school. 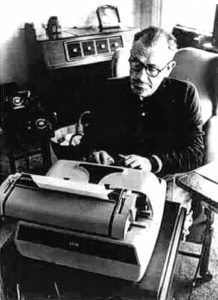 I have Steinbeck, Salinger, and Hemingway to thank for that. Even as I grew in my appreciation of novelists, it was their non-fiction I gravitated toward: Steinbeck’s Travels With Charley, Hemingway’s Death in the Afternoon and A Moveable Feast. And even beloved C.S Lewis’ memoir Surprised by Joy was more appealing than, say, his science fiction trilogy. I didn’t know it then, but I was a consumer of narrative nonfiction, what some deem creative nonfiction or literary journalism, with sub-genres of memoir and true crime coming along side. The idea behind all the names is that the author tells a true story well, using the same methods as a novelist: suspense, character development, dialogue, and immersion in a subject. The list of great creative nonfiction books or articles are extensive, too much to list here. But names such as Stephen Crane, Jack London, Mark Twain, George Orwell, John Steinbeck, Ernest Hemingway, Truman Capote, Joan Didion, Norman Mailer, Tom Wolfe, Hunter S. Thomson, Calvin Tomkins, Ted Conover, Susan Orlean, and Jon Krakauer, dot the landscape like majestic trees in a field. Narrative nonfiction is a million-dollar book business, particularly in the United States, with highly paid writers telling amazing true stories of courage, fear, travel, abuse, adventure—and any other words one can think of. Americans eat up the genre. But mixed within the field of narrative non-fiction is narrative journalism, not as glamorous (unless your Tom Wolfe), but as important. 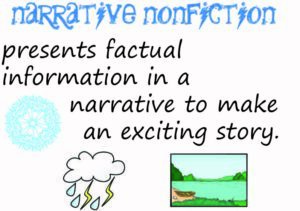 The task of a narrative journalist is similar to creative nonfiction: to tell a true story well. Most of narrative journalism finds a home in magazines dedicated to the craft: Esquire, New York Review of Books, Outside, New Yorker, Harper’s, Rolling Stone, and the like. Sadly, in our day and age, journalists have fallen on rough ground, kicked around by politicians and people not understanding or appreciating the field. This is unfortunate; a free press is linked to a free people. Nonetheless there’s something about journalists—the writer yearning to tell the truth, to present both sides of a topic, to highlight a point in history—that has appealed to me, much like the long-form creative nonfiction writer. He or she sets out to tell a story well. I even get excited when I watch movies about journalists—All The President’s Men or The Post, as examples. So, rather than criticize journalists, particularly Christian journalists, let’s celebrate them. Pray for all journalists. Furthermore, it might be good to acquaint yourself with the genre. 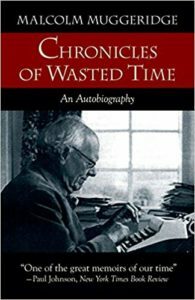 Pick up a book about a Christian journalist that spent his or her career telling stories well. Here’s a few to consider, placed alphabetically. 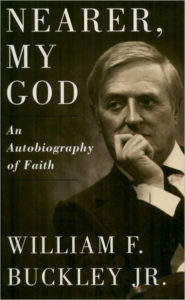 Buckley, William F, Nearer, My God: An Autobiography of Faith. Author, TV host, and journalist, William F. Buckley was a man of faith and a force in the world of journalism, supporting a conservative ethic with broad civility towards all he interviewed and wrote about. Buckley is best remembered as contributor to public affairs television broadcast Firing Line. 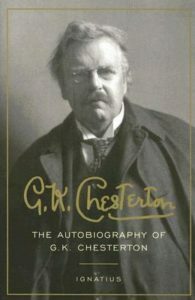 Chesterton, G.K, Autobiography. British journalist and author is one of history’s great literary writers. Known as the “prince of paradox,” Chesterton used his journalistic insight to write some of the Victorian era’s truly memorable books and articles, including Father Brown Mysteries, Orthodoxy, and The Everlasting Man. Muggeridge, Malcom, Chronicle of Wasted Time. 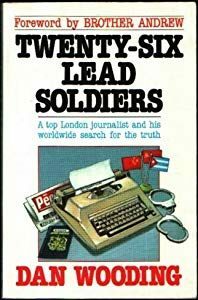 British journalist and radio broadcaster who exposed the communist regime in the USSR, becoming a regular guest on British television and film. His later works focused on the impact and importance of a Christian worldview. Olasky, Marvin, Unmerited Mercy: A Memoir. 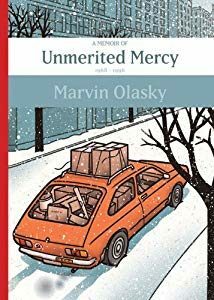 From Russian Jew to editor of the second largest Christian news magazine, World, Olasky’s story is one, as he states in his book, of unmerited mercy. Neuhaus, Richard John, Richard John Neuhuas: A Life in the Public Square. Lutheran clergyman turned Roman Catholic, Neuhuas was editor and chief of First Things, a journal dedicated Christianity within the public square. Stobel, Lee, The Case For Christ. As the subtitle states, The Case For Christ follows a fact-finding journalists “personal investigation of the evidence for Jesus.” Stobel’s investigation led him to become a Christian. The book has recently been made into a movie. Wooding, Dan, Twenty-Six Lead Soldiers. English journalist, Dan Wooding, is the founder of ASSIST News Service. 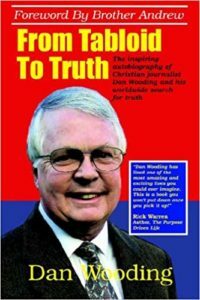 Writing for various British newspapers in the UK, Wooding later turned his attention to cover news-worthy events in the Christian world, from the persecuted church to Mother Theresa, Billy Graham, and Brother Andrew. Yancey, Philip, I Was Just Wondering. Though I Was Just Wondering is not a book about Yancey, it does showcase his articles written for Christianity Today, the largest Christian publication in the US. I Was Just Wondering highlights Yancey’s various insights and interests as a writer, giving us a peek into the life of a fine journalist.